Although it won’t be aired until Christmas Day, the “Walt Disney World Christmas Day Parade” was taped this weekend at Magic Kingdom in Lake Buena Vista, Florida. 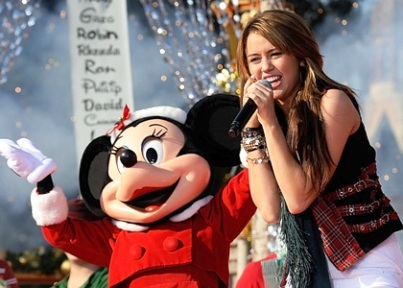 This year is the 25th Anniversary of the Disney Christmas Parade and will be hosted by Ryan Seacrest, Regis Philbin, and Kelly Ripa; the event will air on ABC December 25th from 10am to 12pm ET. The Orlando Sentinel is reporting that Joey Fatone and Drew Lachey will be there, as will Josh Groban, Whitney Houston, and The Harlem Boys Choir. Personally, I have other things to do on Christmas morning than watch a bunch of tween stars in a Christmas Parade that was taped in the beginning of December. But that’s just 30-year-old me talking; I’m sure if I were a 12-year-old girl I’d feel a bit differently. Your write-up was awful, annoying, and whiney. You should look for for a new job, or whatever you consider this to be to you, as I was impressioned by your title that you would be writing about the Christmas Parade. Have a glass of wine, watch The Christmas Story, and relax. This should put you in a better mood! 53 queries in 0.996 seconds.